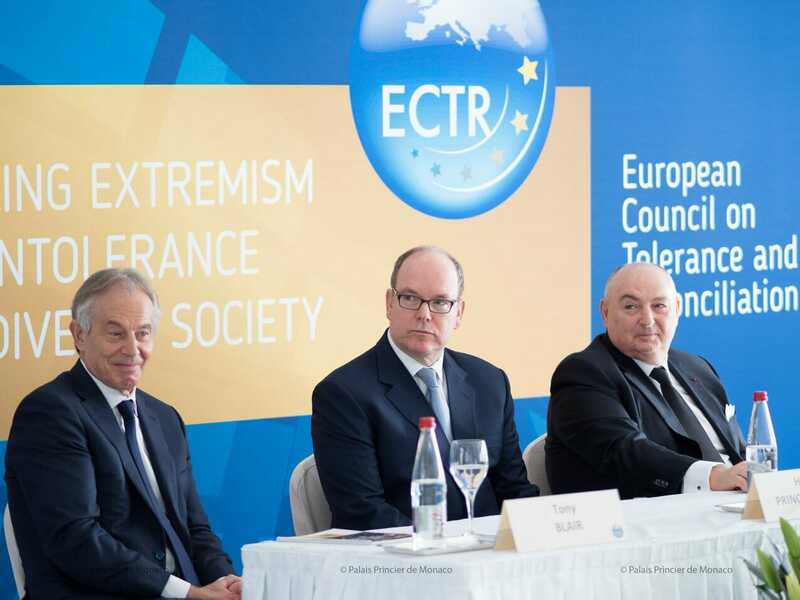 Prince Albert II received the European Medal of Tolerance from the European Council for Tolerance and Reconciliation (ECTR) President Moshe Kantor and ECTR chair Tony Blair. 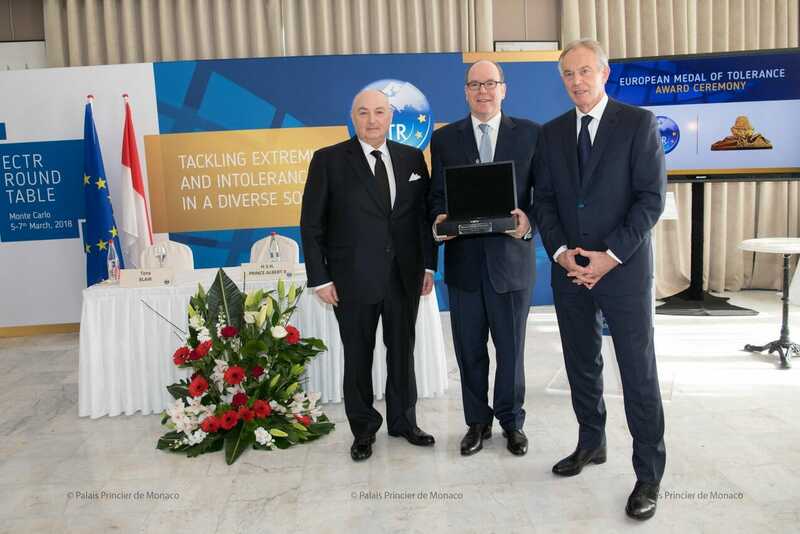 The medal was awarded for the Prince’s apology concerning Monaco’s treatment of Jewish people during the Holocaust and for acknowledging Monaco’s 1942 deportation of 66 Jewish people. During the ceremony, which took place at the Monte Carlo Casino, Moshe Kantor commended Prince Albert II for finding the courage and political wisdom to openly address a painful history. 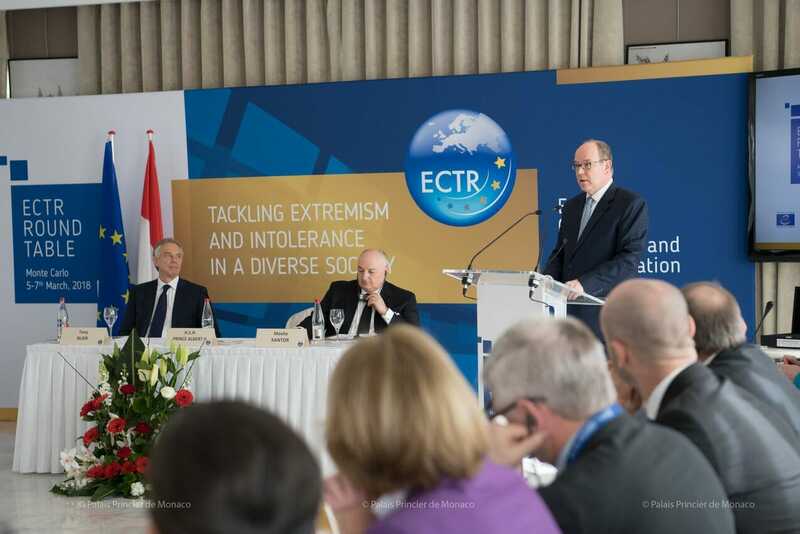 Prince Albert described his apology as a gesture rooted in the need to remain faithful to the history of the Holocaust. The Prince vowed to continue to work for the commemoration of the Holocaust, not only as the head of state, but also as a human being. 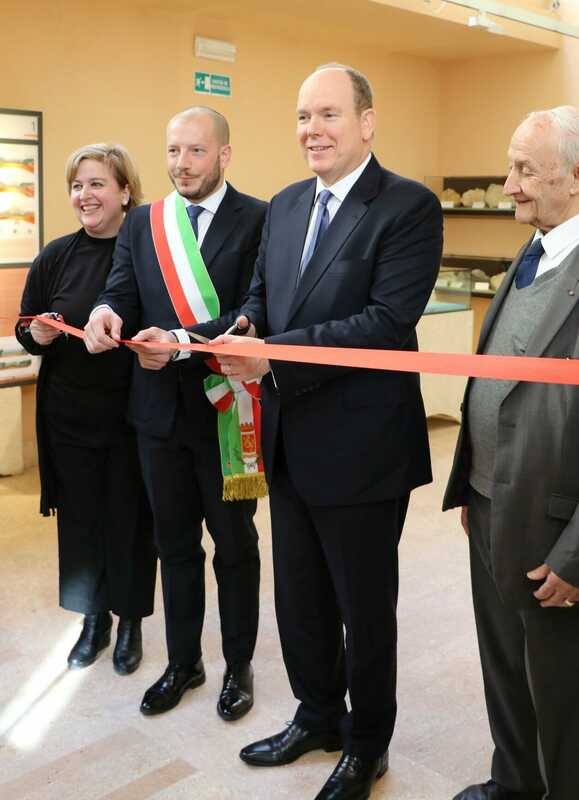 Prince Albert II recently inaugurated the newly renovated Prehistoric Museum of Balzi Rossi. Located in Ventimiglia, Italy, on the Grimaldi hamlet, the museum exhibits the various artifacts discovered on the site and has a deep connection with Monaco’s Princes. The caves were discovered in 1700, but scientific research began in 1846 by Prince Florestan I of Monaco. In 1882, Prince Albert I recommenced the excavations, and in 1898 the Prehistoric Museum of Balzi Rossi was created to showcase the remains and artifacts discovered in the caves. 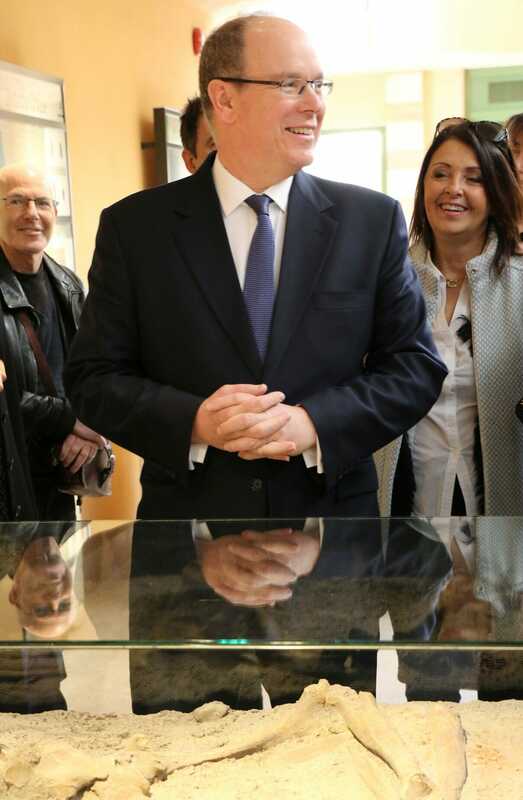 Interested in prehistory, Prince Albert II has remained in close contact with the museum. The renovations were conducted by the Italian Ministry of Culture and presented by the Institute of Human Palaeontology in collaboration with the Albert I Foundation of Monaco. Among the extraordinary discoveries, which date back to prehistoric times, are the famous ‘Dame de Cavillon’ (formerly known as the ‘Homme de Menton’) as well as a giant elephant skeleton. Excavations in the Balzi Rossi caves currently remain underway, in collaboration with the Museum of Prehistoric Anthropology of Monaco. 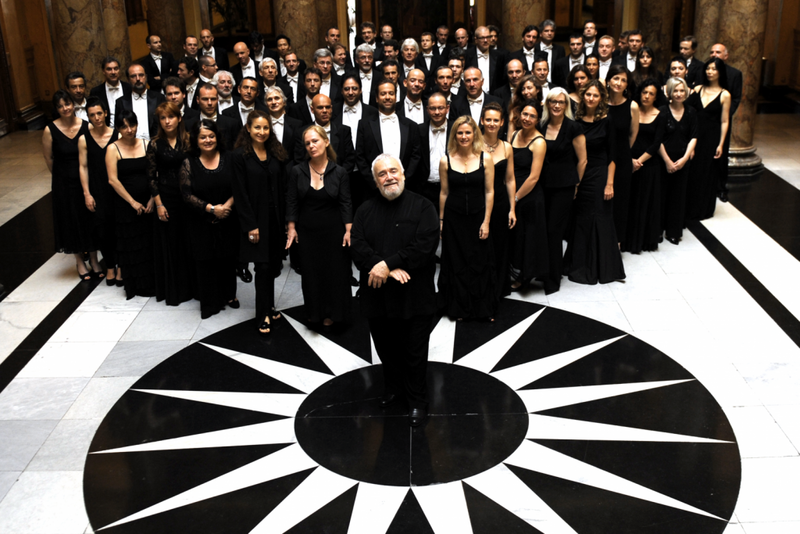 On Sunday at the Grimaldi Forum, in the presence of Princess Caroline of Hanover and in front of one thousand people who filled the Rainier III Auditorium to capacity, conductor Gianluigi Gelmetti celebrated his 50 year-long career. In 1968 he conducted his first concert in Florence. 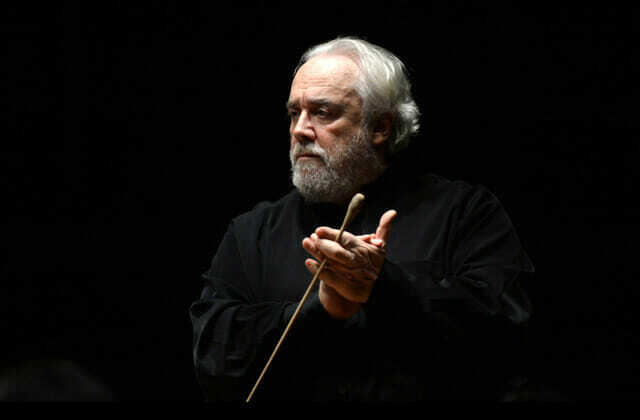 Since then, he has performed, baton in hand, on stages across the world and has been the director of orchestras in Rome, Sydney and the Monte Carlo Philharmonic. The concert included one of the most difficult pieces, Stravinsky’s ‘Rite of Spring’. At the end of the concert, Princess Caroline celebrated the conductor in the presence of the current Monte-Carlo Philharmonic director, Kazuki Yamada.